1. Which is generally more widely used database for web application development, especially on the Linux platform? 2. Which is procedural a language? 3. Which is the open source databases? 4. which package provides DriverManagerDataSource? 8. Which is/are ORM frameworks? 9. Which one is appropriate process to create a Table? 10. 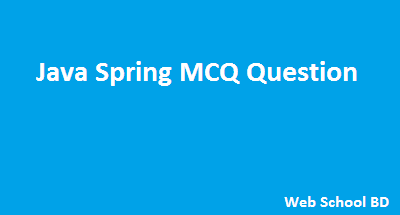 Which is not Spring JDBC Packages ?